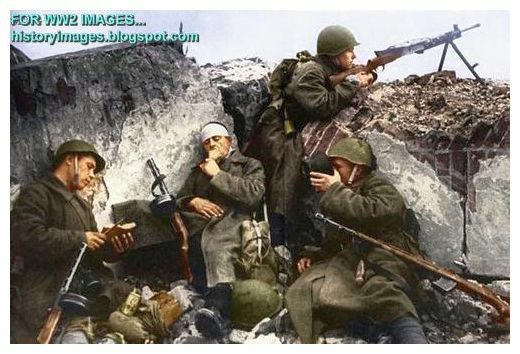 In the Western World most of the pictures we have grown up with are of British and American soldiers. And some of German soldiers. 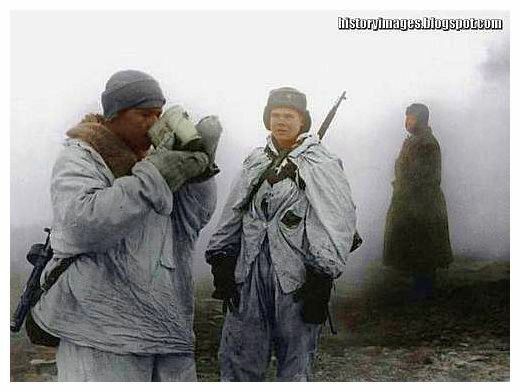 Perhaps a hangover of the Cold War. 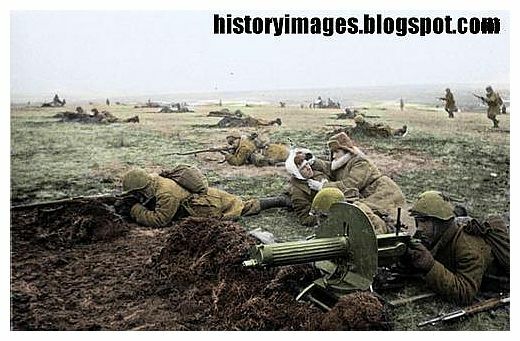 Despite the fact that the most decisive battles took place in the Ostfront; the Eastern Front or the Russian Front. 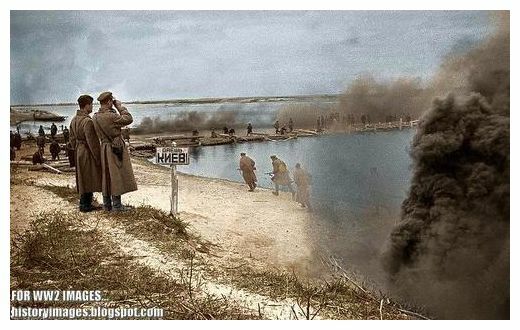 And even less we have seen are images of the Russian soldiers. 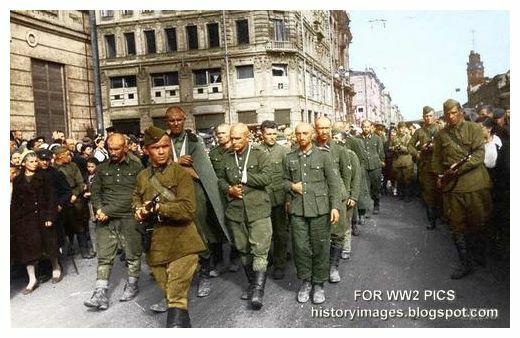 Below are some color pics (colored by Photoshop) of these men. They were human too. It is that we have seen too little of them. 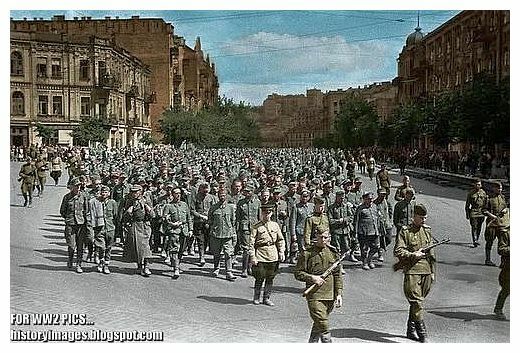 The Russian people watch as German POWs are marched through the street. Leningrad. 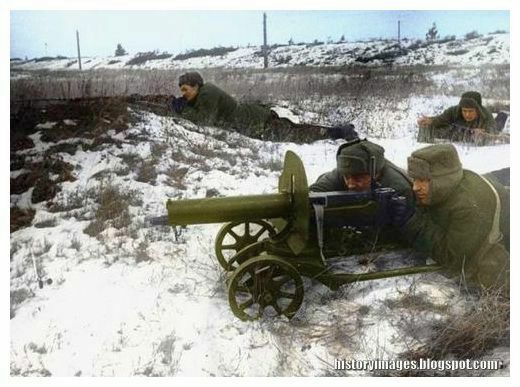 Battle for Moscow. 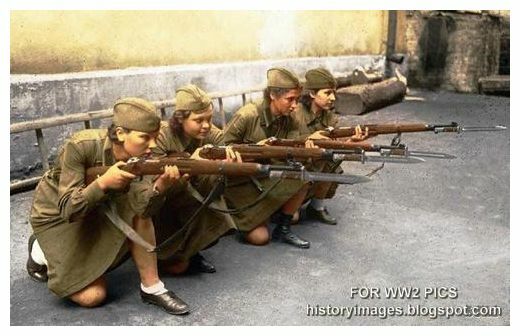 These Russian girls are agog to see some action. Remember this was the grim time for Russia. 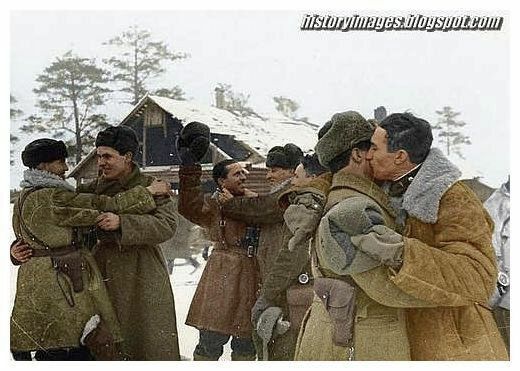 The Germans had reached the suburbs of Moscow. Only the harsh winter saved Moscow from falling. 1941. Some where in Russia. 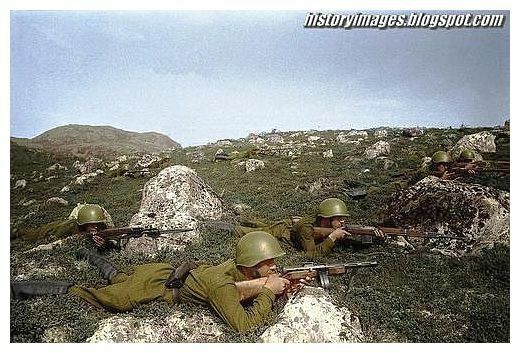 These guys wait patienttly for the German Blitzkrieg. Nerve-shattering. 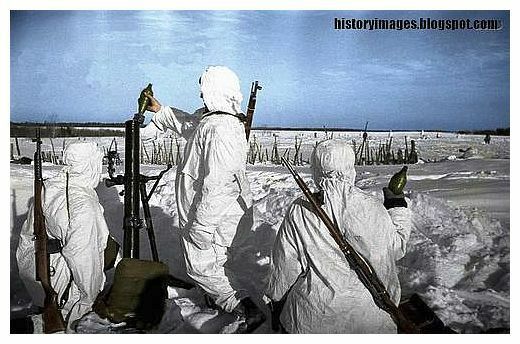 The harsh Russian winter! The Russians were at home. 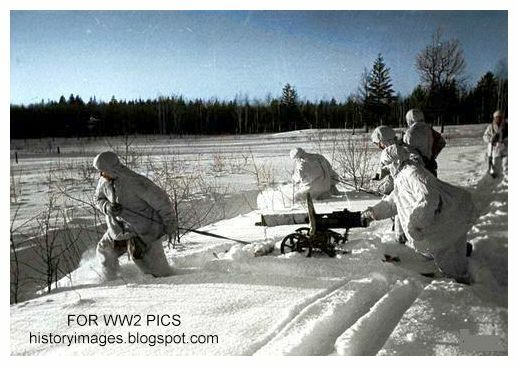 The Germans were ill-prepared for such extreme weather.One of major factor why Germany lost in Russia. 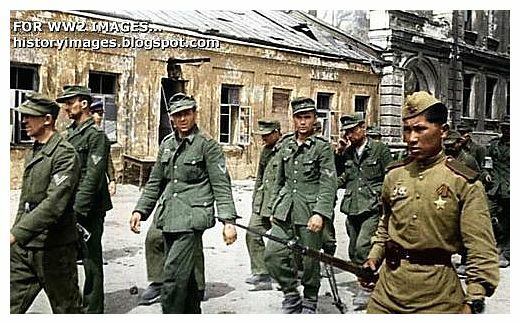 Poland 1944. 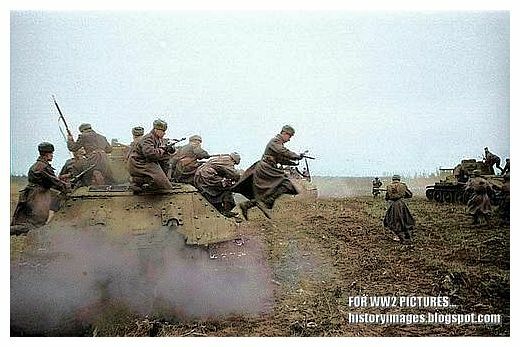 The Russians were unstoppable. A little drink and a breather! 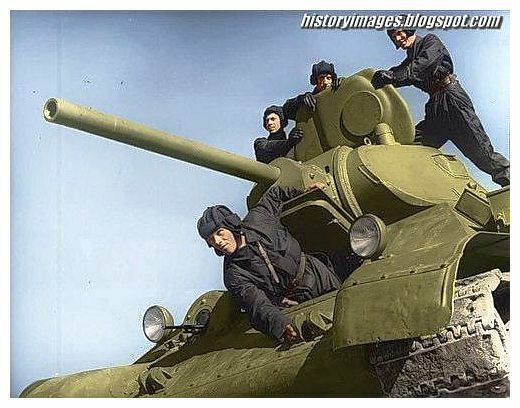 The Russian T-34 tanks. They played a big part in the victory. 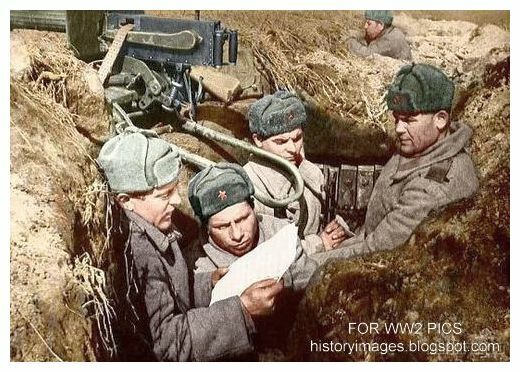 News just came in that Leningrad is safe!